... extending the growing season and providing more choices ... His choices ! ... The transplants in our yard come from an indoor garden. Direct Sow or Start Seeds Indoors ? and on vegetable seed packages. in the how to grow vegetables information. ... sow direct when maturity is time from direct sowing. 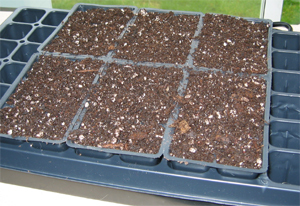 ... maturity from date of transplanting means start seeds prior to planting outdoors. 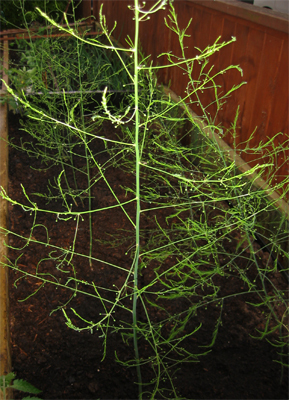 ... time for planting beans and parsnip seed directly into the backyard garden. 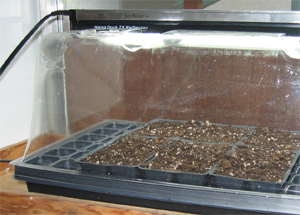 ... good candidates for seed starting indoors and moving seeding outdoors. Starting seeds of berries and flower seeds are done the same way. ... Need a How To Gardening Tip ? ... Earth ... Wind ... & Fire ... Water too ! ... artificial light after germination ... 14 to 18 hours per day. ... be sure pots drain well ... do not over water ... prevent poor germination and disease. 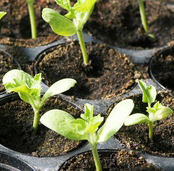 Growing From Seed ... Our gardener's top 10 Tips preparing for Transplanting. 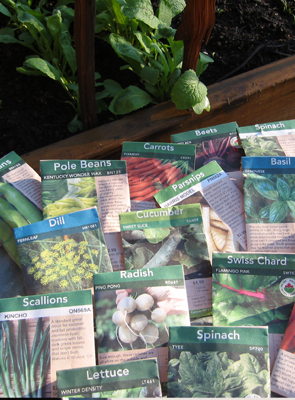 1) Vegetable Seeds What to Choose ? Our gardener Chooses and Grows Vegetables he likes to eat. He also starts seeds that are fresh and organic. 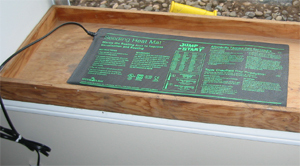 Peat seed trays, with separate seed growin cells, are used in our indoor garden. 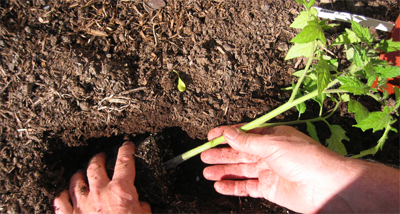 ... each seedling can be transplanted without disrupting the roots. 3) Timing for growing from seed ... When to start seed in an indoor garden ? 6 to 8 weeks prior to the last expected frost date is usual. Be flexible ... Mother Nature has the last say in days to maturity. Light should be close enough so vegetable plants do not have to reach. 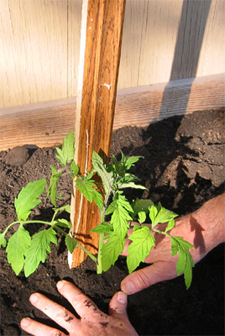 ... once the first true leaves develop be sure the seedlings are dark green and healthy looking. Fertilize with a liquid organic fertilizer ... 20-20-20 ... be careful ! 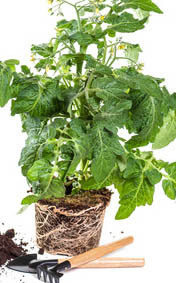 Root bound plants are not healthy ! ... those with will yield poorly. 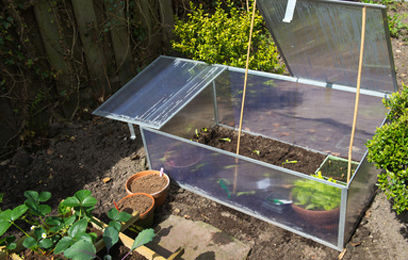 ... do this on an overcast day and shelter the vegetable seedling if needed. Water the seedling before and after the move to the garden ... a raised bed in our yard. The peat pot should be broken in a few places to prevent the roots from being constricted. Be careful the edge of the pot does not show above ground level ... remove a bit if needed. Our gardener has been seen planting tomatoes differently ... Sideways ! We, that is, We garden vegetables have seen our gardener's pleasure on transplanting day ! ... allows him more and better choices. Alpine strawberries ... Priceless ... According to Himself ! Our balcony container garden was a great success last year. 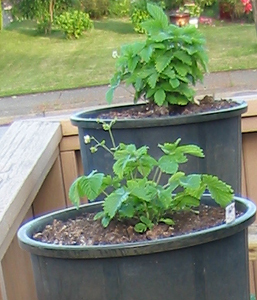 Growing raspberries in containers already ... the alpine strawberries were a welcome addition. 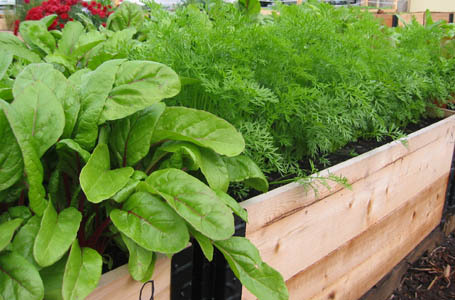 More articles about Raised Bed Gardening and Growing Vegetables that may interest you.